If you are depressed, you may feel that you are all alone with your problems. We want you to know that you’re not. We understand the feelings of hopelessness that can come with depression. You might feel that your life can’t get any better or that you don’t deserve a better life. We’re here to say it can – and you do. Polaris Counseling offers caring and thorough depression counseling for the Naperville (IL), Aurora (IL) and Wheaton (IL) areas. If you believe you need depression counseling, we’re here to help. If you identify with some or all of these symptoms, you may be suffering from depression. Depression can be temporary or situational. It can also be chronic. Our depression counseling for the Wheaton, Aurora and Naperville areas helps you develop a personal plan for feeling better once again. Our trained counselors provide depression counseling including Cognitive Behavior Therapy (CBT), journaling and other techniques that will help you break from destructive thought patterns. From there, you will learn how to reframe your thoughts in a rational, realistic and positive way. This will help you manage your stress and triggers without returning to depressive thoughts and feelings. It’s important for you to remember that no matter how sad or defeated you might feel, you can take charge of your depression. You have access to depression counseling for Aurora, Wheaton and Naperville that can put you back in control of your thoughts. We are here for you. 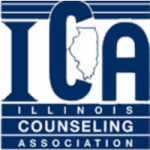 If you have questions or need depression counseling for the Naperville (IL), Wheaton (IL) or Aurora (IL) areas, please contact us at (630) 779-0751.